During training runs, I pass by a lot of restaurants and do mental note on few restaurants I’ve been curious of. I remembered twenty-one plates. I rang and imposed “twenty one plates. It’s just nearby. I know where it is, Aguirre ave.” which is very much in favor knowing its close proximity. Upon entering, we were welcomed by the owner, Mr. Mico Miciano and his cute little kid, was introduced to his wife, the chef – Tinette Villanueva-Miciano and told us a little information about Twenty-One Plates. I already did my homework, a little research but coming from the words of the owners themselves – it was nice to know that they welcome their guests close to comfort and be familiarized on the history of the location and who’s behind the gastronomic menu at twenty one plates. I’ve always been the couch and table kind of girl but their seats and other rooms were already reserved. Mico introduced our waiter for the night and entertained us for a few minutes as I’ve always been she-who’s-always-curious. We were told that the restaurant used to be part of the law firm but was allowed to be rented out for them, hence the look of the restaurant was subdivided to rooms which actually complemented their business structure – they wanted it to still have a private experience even if there are times when you’d need to share the room with others. Laing and melted mozzarella cheese? definitely the kind of food I’d love to have. 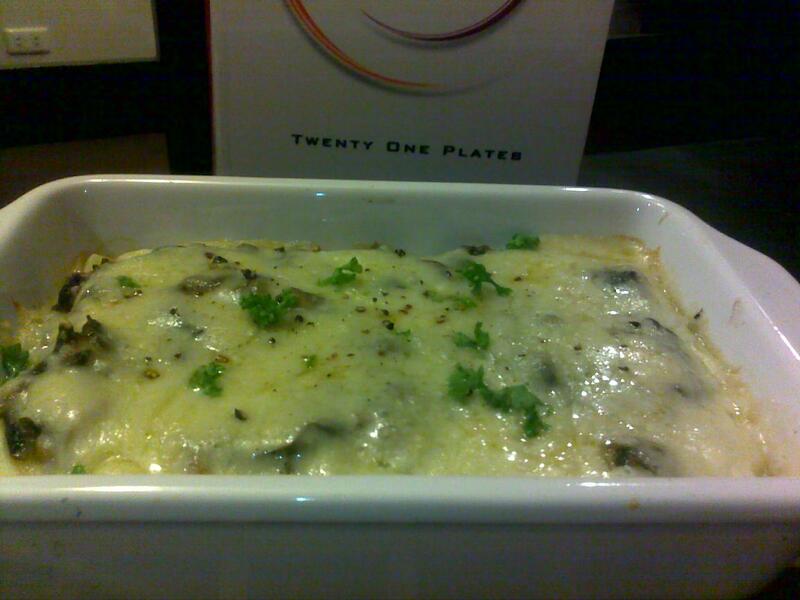 It’s not the spicy lasagna but the right combination of lain and mozzarella did gave justice to another laing favorite. After 25 minutes, both plates were served. For the sweet exit, the most craved Brazo de mercedes was taken in a different way. We tried the reinvented Brazo called as Anastacia’s Frozen Brazo. 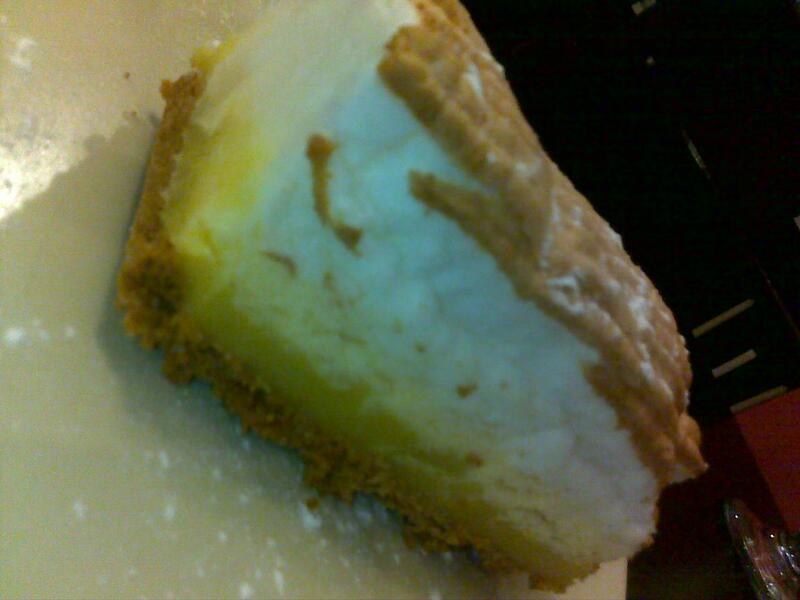 Graham cracker crust and a frozen Brazo de mercedes surely gave justice to the category of desserts. The description on the menu served it right – it’s that Frozen Brazo which will make you want another slice. Looks like we have another favorite village restaurant! We’ll definitely go back. I’ll make sure I’d have that mint soup and that controversial bottomless iced tea. The experience surely was pleasant: the hospitable owners, the home-cooked family secret served, ambiance which serves privacy and a little homey experience is worth every visit – you’ll even love the way their adorable children would even ask you how you are and give you a wink. The price? sure is worth it. They accommodate exclusive parties for a friendly price of consumable Php 25,000 which may fit 50 guests. You may bring your own wine – corkage free and may avail of their drinks for a cheap price of Php 50 for sodas, local beer for Php 85, and affordable foreign beers and wines. On a convenient note, they accept Master Card and Visa. Suggestion? It would’ve been nice if they have buzzers just incase the restaurant becomes very busy and to avoid eaters to keep on calling “waiter” or “sir” in a loud voice. Crayons and paper which has images that children can color while waiting. Some of my wine friends & I have been wanting to try this place. This is insightful and helpful, Kassy. I won’t be afraid na to visit 21Plates. We have the same concern. 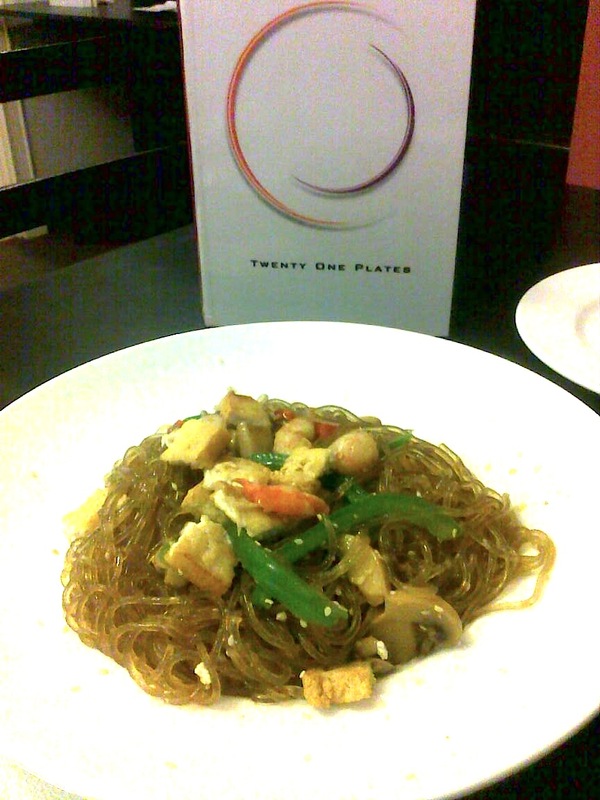 A SOLO plate can be divided into two for me. I just can’t seem to finish an entire restaurant serving hence the need for a pig-out buddy! 🙂 Hey, if ever, Let’s! Haha! Just in case you didn’t see our comment on your post, thanks very much for this review. 🙂 This is probably the fastest experience-to-blog entry that we’ve had, haha. I mean it was published almost as soon as you left! Better post it as soon as possible before the palate has been forgotten – well, not really. Was satisfied indeed! 🙂 Until then!